The gardens at the cottages and the farmhouse are looking at their very best in June and July, with the fantastic displays provided by the roses, clematis and the honeysuckleone. 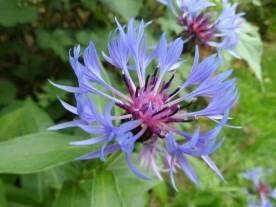 However one of my favourites flowers is the corn flower. Such a simple flower, easy to grow, but so elegant and delicate a real trooper in every cottage garden. 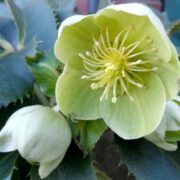 A short drive away we have the very famous, National trust garden at Hidcote, Snowshill, Charlecote, Kifsgate, and NGS gardens open all year at Napton and Packington Hall, Hill Close in Warwick, and the wonderful Ryton Organic Gardens. Antiques & Collectors Fair at heritage Centre,Gaydon,Warwickshire Enjoy England Awards, all our cottages retain highest award.